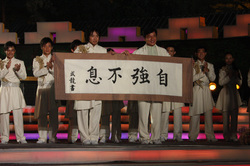 Master Jack Tu, the eldest son of Tu Chin Sheng, has been selected in 2008 as Jackie Chan's Disciple. It was a competition that consisted of over 200,000 contestants. 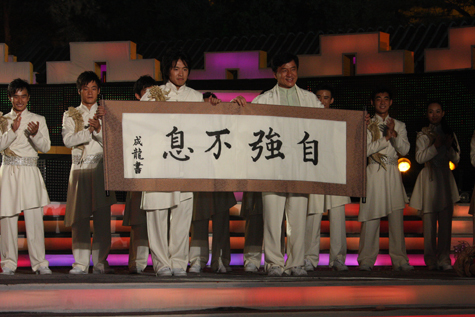 The reality TV show was named: 龍的傳人 "Disciple of the Dragon". To read more about the story, please visit Jackie Chan's diary. Master Jack Tu is currently in China working on films. Click here for more Update information on Master Jack! Coach Julie Tu, specializes in Straight Sword, Spear, Er-Mei Dagger, Empty hand, Animal forms and Northern Fist. Coach Julie won Grand Champion in Long Beach International competition in 2009 and several Gold Medals. Coach Julie recently graduated from University of California San Diego and was on the UCSD Wushu Team. She was also one of the top 180 selected contested in the 2008 Jackie Chan's Disciple along with Master Jack Tu. Coach Jenny Tu, along with 3 other siblings began training in Chinese martial arts as soon as they were able to walk under the instruction of Tu Jin Sheng,. She has competed in numerous competitions, and specializes in Southern Fist, Southern Staff, Broadsword, Staff, Straightsword, Spear, Fightsets, Empty hands, 3-section staff, Qigong, TaiChi and Sanda. Coach Jenny is currently getting her Master of Science Degree in Acupuncture from Dongkuk University. She practices MMA, BJJ, and Muay Thai. Students are taught a wide variety of martial arts! Loves working with and teaching kids. She has been personally invited to perform in Hawaii, Canada, San Francisco, San Jose, Los Angeles, and several non-profit performances. Coach Jimmy Tu, specializes in Eagle Claw, Southern Fist, Southern Staff, Fightsets, Empty hand, Animal forms, Fanzi, Hard Qigong (Iron Palm, Iron Body), PuDao, Southern Broadsword, Traditional, and San Shou (Chinese kickboxing). Coach Jimmy practices MMA, BJJ, and Muay Thai. Recently, Coach Jimmy Tu won Grand Champion in Shark City International competition, hosted by Tiger Claw in 2011. Here at 99 Martial Art Center we are actively participating in performances and charity events around the city. If you are interested in a performance by our team please contact us with the event information and details.